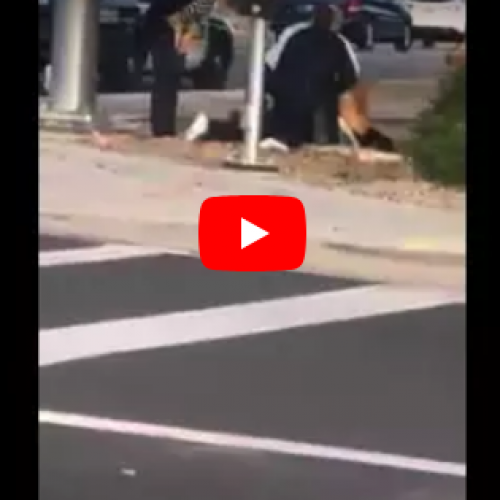 Stayton, OR — Police in Stayton are under fire for what some have said is an insensitive and heartless arrest, after a video emerged showing their officers forcing a disabled man out of his car and aggressively shoving him face down on the ground. Robert Twede, who requires a wheelchair to move around, was arrested earlier this month for driving three blocks to his home after police targeted him for a routine traffic stop that he says happens all too often. The reason for the original stop is not entirely clear as Twede was not cited for any traffic violations. Twede notes that he has been targeted and pulled over by these officers before, right by his house. He says that he usually drives back to his home because it is easier for him to get to his wheelchair. Twede described the incident as well as the ongoing harassment he has received. He admitted that he did not immediately pull over when police used their lights and sirens to effect a traffic stop. Feeling more comfortable getting out of his vehicle on his home turf (knowing he can manage his chair there), he proceeded three blocks to his residence. Twede wants people to know he has no criminal record and is not a felon. He says if he had broken the law, he would have been prepared to accept responsibility for his actions. 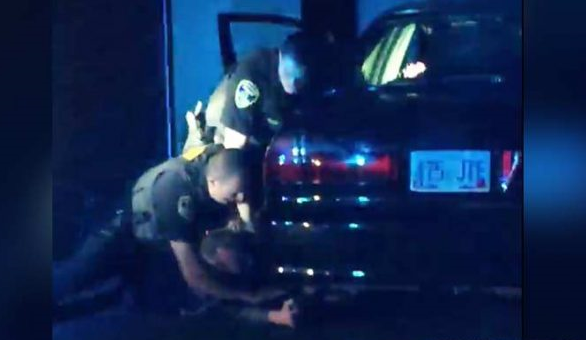 He says he was complying with all of the officers’ commands up until they tried to pull him out of the vehicle through the driver’s side window. 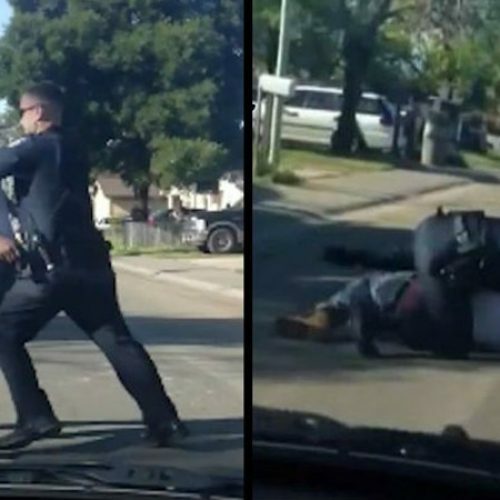 It appears from Twede’s comments that he was only asking to be treated with the same dignity and respect that police officers seem to expect others to demonstrate to the badge. He said the officers never once attempted to help him retrieve his wheelchair from the back seat—a device both officers, he alleges, knew that he needed. He said the craziest thing happened after the officers apparently violated his rights under the Americans With Disabilities Act. They then assembled his wheelchair and placed him in it. That’s right. They potentially risked his health by placing him on his stomach and then, finally, did what he had originally asked them to do. Twede said his daughter was there to film the encounter. While he lamented the fact she had to witness it all, he appeared thankful she was there to document the alleged abuse. Officer Altabef is reportedly one of the arresting officers. Twede says he has endured several instances of police using excessive force on him but only now has proof. Twede said harassment by Stayton police started in April when Altabef pulled him over and claimed his license plate light bulb was burned out. As The Free Thought Project has documented, police will use minor violations to create probable cause to search a vehicle and potentially file charges against motorists. As for his criminal history, Twede said he is just a motorist like everyone else who occasionally violates traffic laws. “If you consider traffic violations to be a criminal offense then habitual I am, ” he said. The video Twede’s daughter recorded speaks for itself. The point at which the video begins is when Twede admitted he did not immediately pull over. He proceeded to his home, where he can presumably retrieve his wheelchair as he is accustomed to doing. From his comments, we also know the police already attempted to drag him through the opened driver’s window. From the point at which the video begins, we can hear Twede yelling for the officers to retrieve his chair. The officers can be heard screaming what appears to be profanities at Twede, before dragging the man out of his car, and placing him on the ground. Twede said he believes Altabef knew who they were dealing with and that he had certain medical needs that required special attention. He also said it wasn’t the first time police were forced to follow him home. None of the charges Twede is facing appear to have to do with why he was stopped. He was charged with eluding police, resisting arrest, and recklessly endangering another — likely stemming from having his son in the car while he safely drove to his home. TFTP contacted the Marion police department but we have yet to hear back from them.